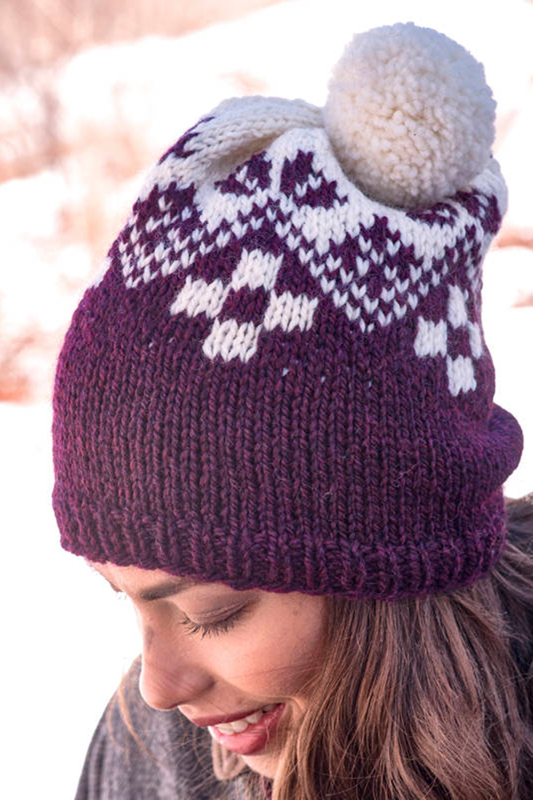 This cute and colorful hat is knit with two colors of Berroco Mercado and topped with a pompom. Colors Shown: Berroco Mercado (100 grs): 1 hank each #4160 Ciruela (C1) and #4101 Crema (C2). Koigu Patterns - Koigu Fun Beret and Cap - PDF DOWNLOAD is a similar pattern: hats and more garment and for all ages. You may also like Berroco Booklet 399 Brielle Patterns - Charente - PDF DOWNLOAD, which is another similar pattern: hats and more garment and heavy worsted/aran (16-18 sts/4 in) yarn gauge.